Ever since I can remember, the lights have been out in these two letters. It's more like this is more familiar than if they actually fixed them. To read more about the inventors of the first electric starter, click here. 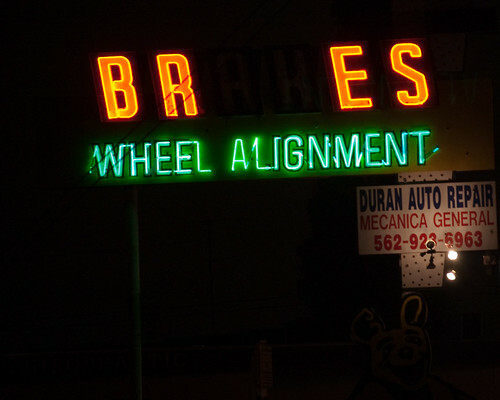 My very favorite burned out sign was one in South Gate. The bottom part of C was out in "Lucky." It cracked me up! I always wondered who would shop at Lurky's at night!